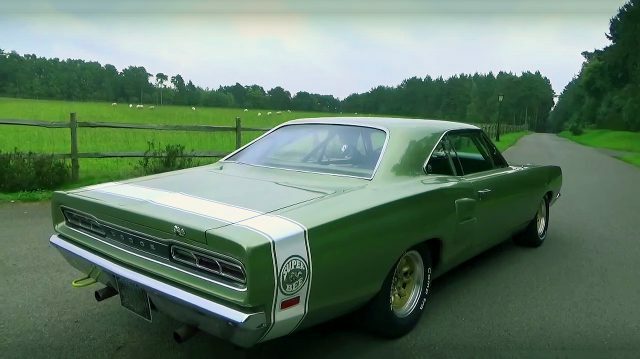 Just take a look at this beast, the 1969 Dodge Coronet Super Bee which is considered for one of the most legendary Mopars ever built. 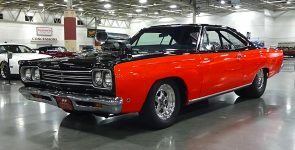 This Mopar originally was a 383 4-speed Super Bee, and also was a circuit raced during the mid ‘90’s, in the HARA series. But this Super Bee now is road legal, and the owner decided to make some upgrades. 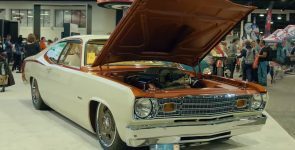 The upgrades affected mostly the engine and small changes at the interior, although the rest of this Super Bee remains original as much as possible. 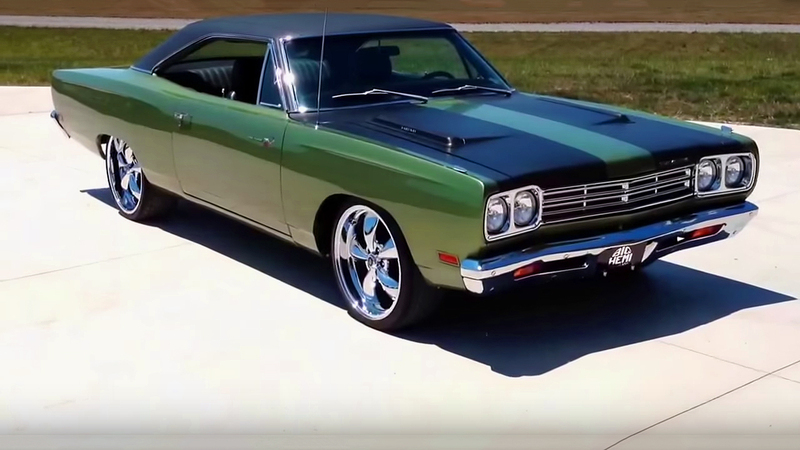 Inside this ’69 Super Bee you can see the beautiful factory Olive Green leather interior, additional Simpson safety harnesses, Roll Bars and MSD rev meter. 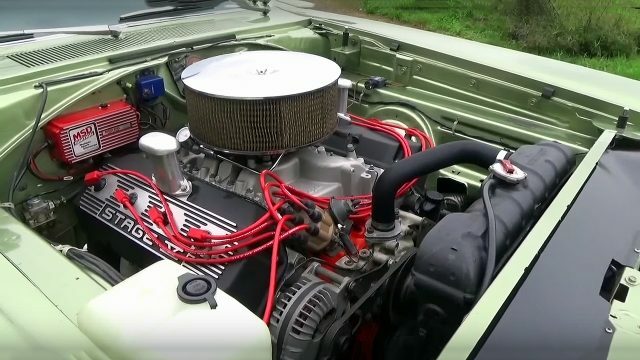 Speaking of the engine, the original 383 was replaced with a Chrysler’s big-block 440 cubic-inch V8, fitted with a Stage V Hemi head’s. The engine is attached by a 4-speed manual transmission. 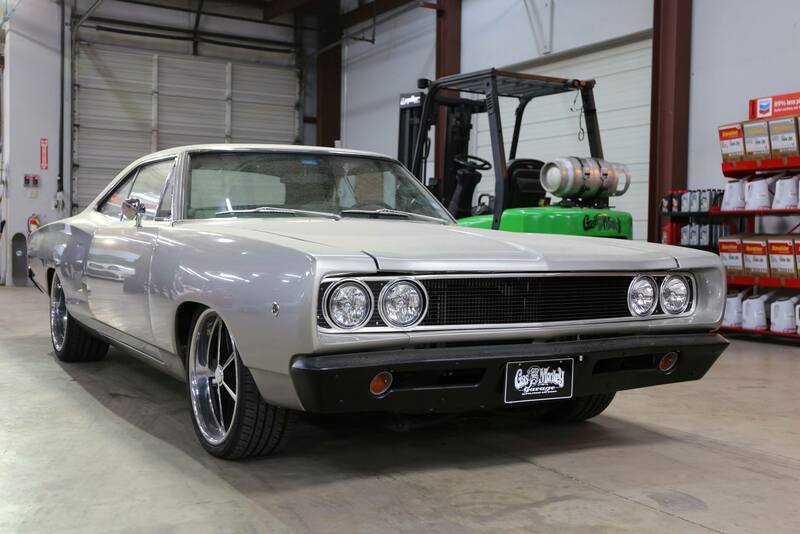 Additional equipment that have been added to this 1969 Dodge Coronet Super Bee are the two-tone Rally wheels equipped with BFGoodrich Comp T/A tires and Wilwood brakes on all four wheels.